Xiaomi is carrying out updates quite late compared to other manufacturers, and it is now when it has released the first deployment plans information on Android 7.0 Nougat for its existing devices. Let's not forget that the opening of Google I/O 2016, the annual conference for developers created by the search giant, where in recent years the new version of Android was introduced, but this year, Google decided to anticipate the operating system for a few months by deploying the first developer release in March. Since then, it has had time to launch up to three betas of Android Nougat, until on August 22 began distribution of the stable version on Nexus devices. Inevitably, smartphone owners of other brands (not to mention those with older generation cell phones) are wondering when their devices will be updated to Android 7.0 Nougat, and especially if they will update to the latest version of Android. And as for the owners of the Xiaomi brand, there is a long list of official devices available that the company plans to update, but we have not heard anything since its rollout until a few days ago. That is, Xiaomi has already begun testing the update to Android Nougat in the Mi 4c, Mi 4s and Mi Note, so they will be the first Xiaomi smartphones to receive Android Nougat in the near future (we assume in 2017). There is no information on the update date for Android Nougat for most recent models, such as Mi Note 2, Mi 5s Plus or Mi Mix, but, being the latest models released by the Chinese manufacturer, they will certainly be updated to the latest version of Android, we just do not know when. As part of this update to Android 7.0 Nougat, these phones will also receive the latest version of MIUI 9 (the Xiaomi customization layer). The new version of Android will allow Xiaomi to open its doors to multiple languages, 72 new emojis, multi-window function, a way to quickly return to the previous application by double-clicking the multitask button, Vulkan API graphics, Doze on the Go to better battery life when the user is on the move, new quick setting adjustments, direct responses on notifications, file encryption, and much more. 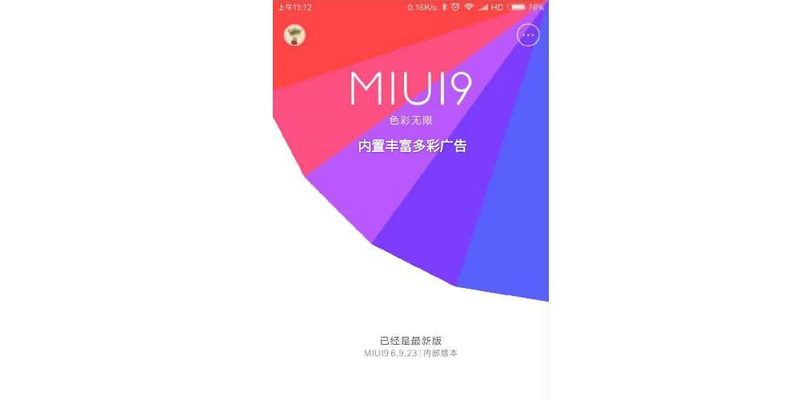 These innovations will be added to those of MIUI 9.